An air conditioner has become a staple in most vehicles these days. Having a working air conditioner unit is especially important on hot summer days. These units contain some chemicals that are hazardous to the human body, though, so unless you are a trained auto technician, you should take extreme caution is attempting to fix your car’s air conditioner. What makes fixing your air conditioner potentially unsafe? 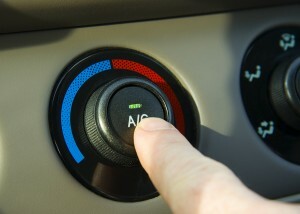 Sallas Auto Repair has details about the hazards of trying to fix your own car air conditioner. Freon gas is used inside of your car’s air conditioner unit to supply cool air via evaporation. This gas, much like many other fumes, may cause health problems, one being cardiac arrhythmia, if inhaled directly. This gas can also damage the ozone layer when released into the atmosphere. Attempting to fix your own car air conditioner unit may expose you to toxic fumes if it’s not done correctly. Because of this, it is best to let trained mechanics handle these repairs. A coolant leak could potentially be fatal. Some auto shops offer do-it-yourself “top-up” kits for at-home repairs. Although these kits may seem like quick fixes, they can potentially cause more harm than good. The main issue with this method is that your air conditioning system contains contaminants and moisture, which must first be vacuumed prior to re-gassing. All cars have a specific amount of coolant that is needed in order for their air conditioning units to be properly recharged. Many top-up cans may contain too much or not enough of this gas. Also, mixing old gas with new gas is like doing an oil change and mixing the old oil with the new, which is never a good idea. The only way to correctly recharge a car’s air conditioner is to first vacuum out all the gas and moisture inside of the unit and then fill it up with the correct amount of gas that is specified by the car manufacturer. Some top-up cans that are advertised as eco-friendly actually contain the highly flammable chemical compound HFO-1234yf. Once the chemical reaches 600 degrees C., it forms hydrogen fluoride which decomposes to form hydrofluoric acid when mixed with water. This acid is extremely toxic and in the event of a collision, the risk of a car fire is greatly increased. If a leak occurs in the air conditioner unit, the coolant will release into the atmosphere. This can harm the ozone layer, which is why air conditioning engineers must reach a minimum qualification when handling refrigerants. Venting refrigerants into the atmosphere may carry a heavy fine or up to two years in jail. In the long run, letting a professional fix your car’s air conditioning unit will save you both time and money. Don’t let yourself be tempted with cheap fixes that may potentially lead to jail time, expensive fines, or even worse, harm to the environment or others. Taking care of your vehicle will allow it to run longer and prevent future breakdowns. To have your air conditioner unit fixed by a professional, contact Sallas Auto Repair at (913) 381-4555.